The Deepwater Horizon was a deepwater offshore oil-drilling rig in the Gulf of Mexico that experienced a complete catastrophic blowout on April 20th, 2010. This blowout led to one of the worst environmental disasters in human history, and the largest oil spills in United States’ history. 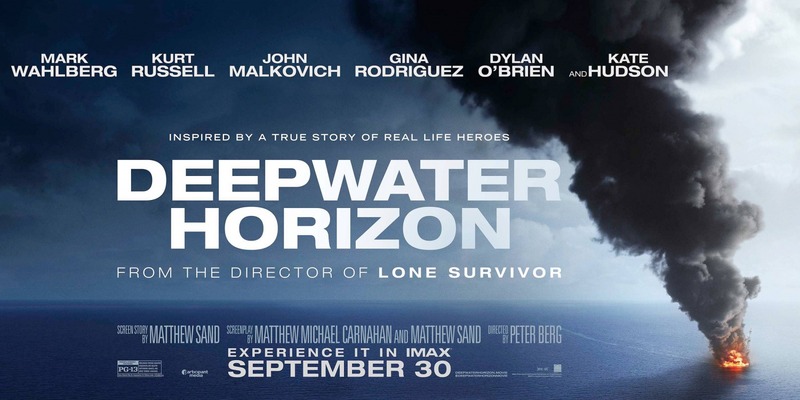 Deepwater Horizon is not concerned with analyzing the aftermath of the blowout, the closing of the sea floor oil gusher, or the environmental damage of the oil spill. Deepwater Horizon is a terrific disaster film that focuses on the human element of the people trapped on the Horizon that fateful day. The film also doubles as a scathing indictment of BP and their policies.